'The Beatles: Eight Days A Week - The Touring Years' opens in theaters September 16th. This Thursday, September 15th, at the Village East Theater, Stevie Van Zandt’s non-profit Rock and Roll Forever Foundation (RRFF) will host the New York City premiere of Ron Howard’s The Beatles: Eight Days A Week-The Touring Years. Van Zandt’s foundation, which for several years running has been offering extensive educational materials free-of-charge to middle and high school teachers interested in taking their students on a historical exploration of popular music, will be launching a nationwide educational effort centered around the Beatles film. Just two days after the event, with Scholastic, Inc. as their partner and with the support of Apple Corps, the RRFF will make available their Eight Days a Week in the Classroom materials at teachrock.org. Those new Beatles-themed materials will join over seventy preexisting multi-media lesson plans on the website; this will be the largest, most in-depth Beatles-related project to be integrated into American middle and high school education to date. The September 15th New York City premiere, held the day before the film opens in New York at IFC Center and in theaters across the country, will take place on the same day as the world premiere of the film in London. The New York City event will act as a fundraiser to help support the educational efforts of the RRFF and will include a red carpet featuring celebrities and the RRFF’s special guest teachers. Donations will support the ongoing educational work of the RRFF, and contributions to the campaign will also sponsor individual educators, granting them tickets to the premiere, as well as a place in the training seminars associated with this Beatles-related educational initiative. This will be the night when the teacher is the star. 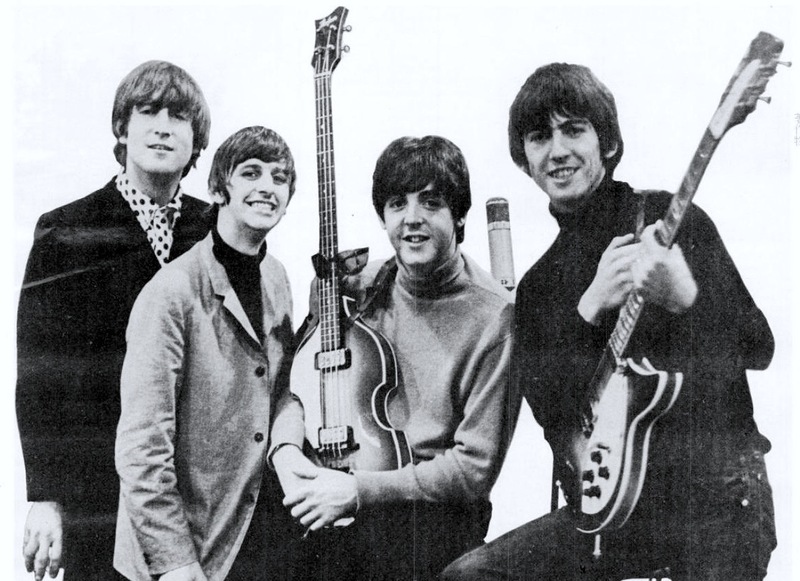 The Beatles: Eight Days A Week – The Touring Years is based on the first part of The Beatles’ career (1962-1966) – the period in which they toured and captured the world’s acclaim. Ron Howard’s film explores how John Lennon, Paul McCartney, George Harrison and Ringo Starr came together to become this extraordinary phenomenon, The Beatles. It explores their inner workings – how they made decisions, created their music and built their collective career together – all the while, exploring The Beatles’ extraordinary and unique musical gifts and their remarkable, complementary personalities. The film will focus on the time period from the early Beatles’ journey in the days of The Cavern Club in Liverpool to their last concert at Candlestick Park in San Francisco in 1966. The materials that will be available at the RRFF’s teachrock.org website will afford students a comprehensive view of the sixties via the musical foursome that stood at the center of that era, connecting the film with the classroom. In addition to the materials offered at no cost to teachers, Scholastic, Inc. will host a national webcast on October 19th, moderated by Whoopi Goldberg, with Stevie Van Zandt and special guests speaking to students across the country about The Beatles and their impact. Featuring rare and exclusive footage, the film is produced with the full cooperation of Paul McCartney, Ringo Starr, Yoko Ono Lennon and Olivia Harrison. White Horse Pictures’ Grammy Award-winning Nigel Sinclair, Scott Pascucci and Academy Award®-winner and Emmy® Award-winner Brian Grazer of Imagine Entertainment are producing with Howard. Apple Corps Ltd.’s Jeff Jones and Jonathan Clyde are serving as executive producers, along with Imagine’s Michael Rosenberg and White Horse’s Guy East and Nicholas Ferrall. Steven Van Zandt and Paul Shaffer will co-host the September 15th NYC event, welcoming teachers, students, celebrity guests, and donors for an evening focused on The Beatles and the teachers who keep students engaged with education and inspired to stay in school. The Beatles: Eight Days A Week – The Touring Years opens in theaters September 16th.